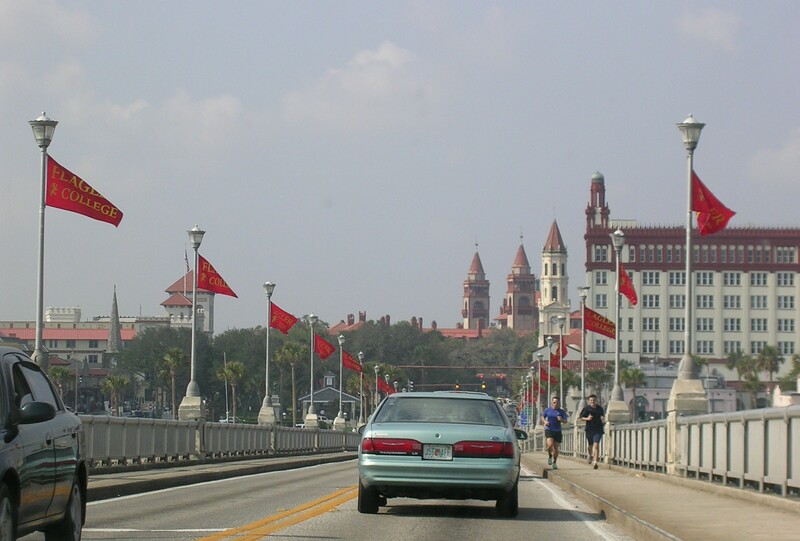 The view of downtown St. Augustine from the westbound Bridge of Lions (FL A1A). Behind us is Anastasia Island, the "suburbs" of St. Augustine. North on Avenida Menendez, which is also Bus. US 1 and FL A1A. To the right is the harbor on the Matanzas River, which connects with the Tolomato River, which in turn dumps into the Atlantic all at the same place. 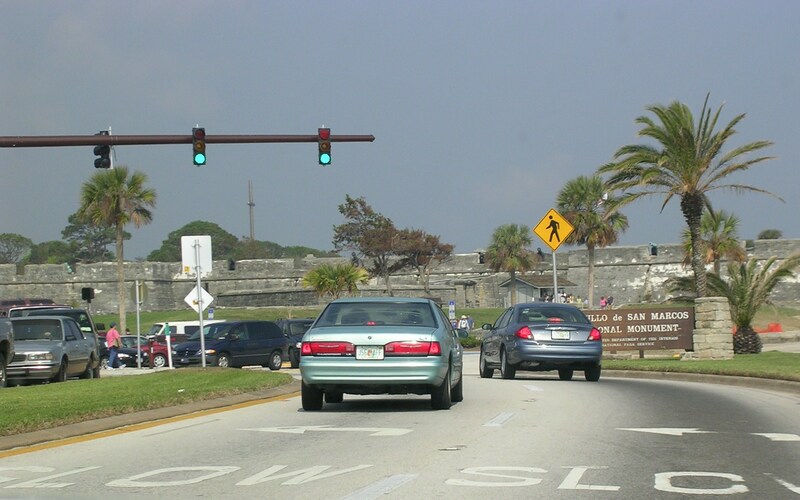 Ahead is Castillo de San Marcos, the old fort the Spanish built in the 1600s that used to protect the city of St. Augustine from intruders. 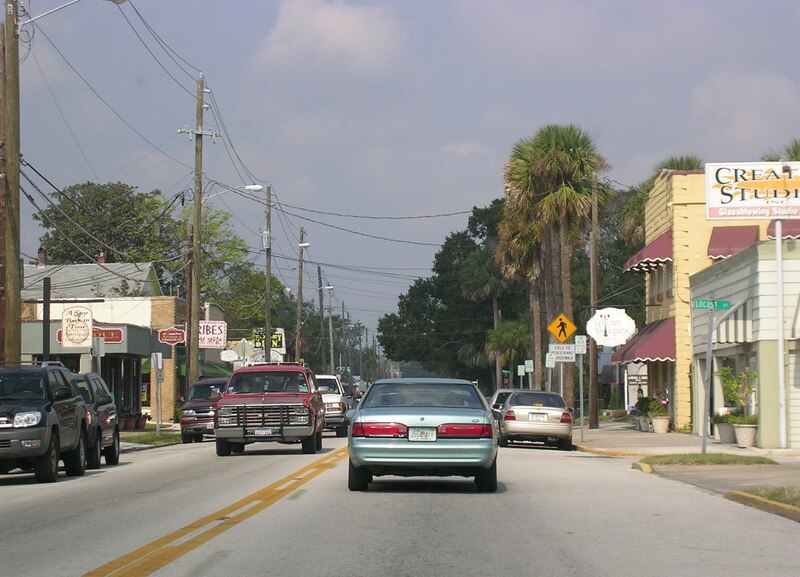 Continuing on Avenida Menendez northbound in St. Augustine. 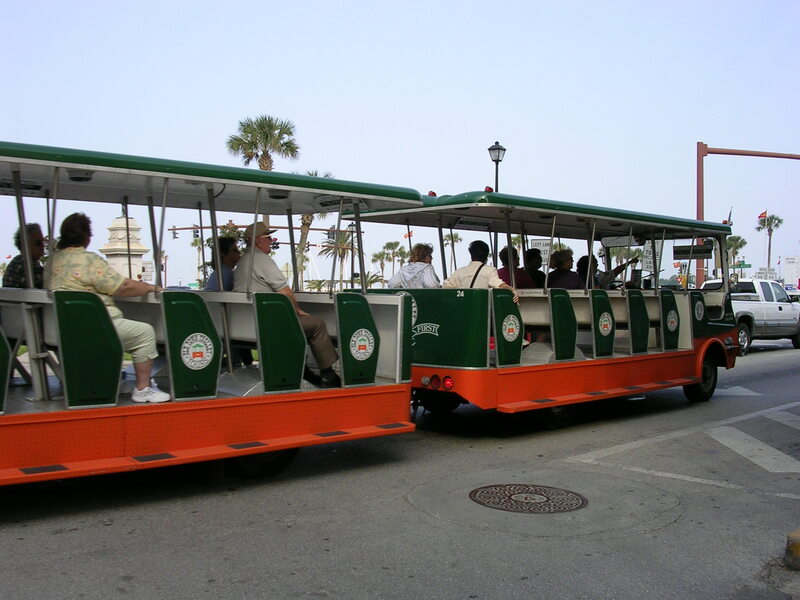 They have trolley tours throughout the city and here's where you buy tickets on San Marco Ave (Bus. 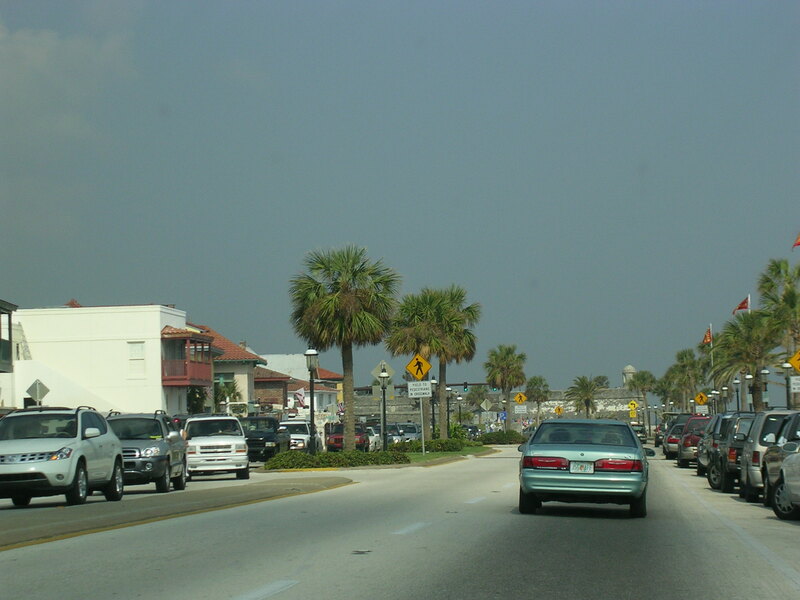 US 1 and FL A1A). 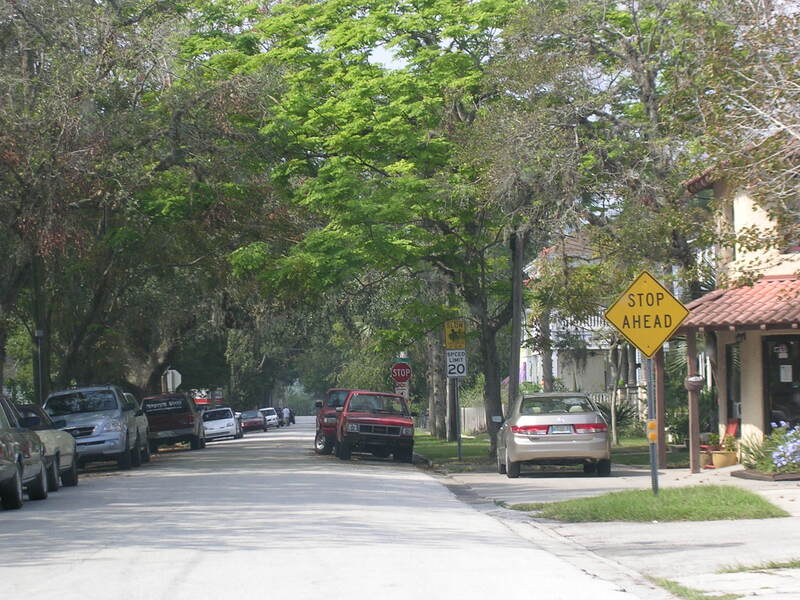 Avenida Menendez turns into San Marco Ave. after the curve you see in the picture above. 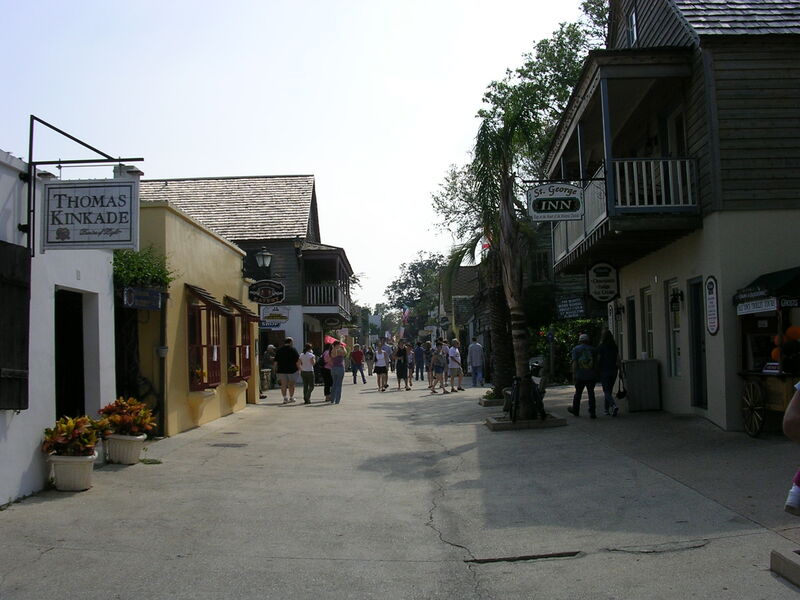 This is just a random view of a street in St. Augustine. 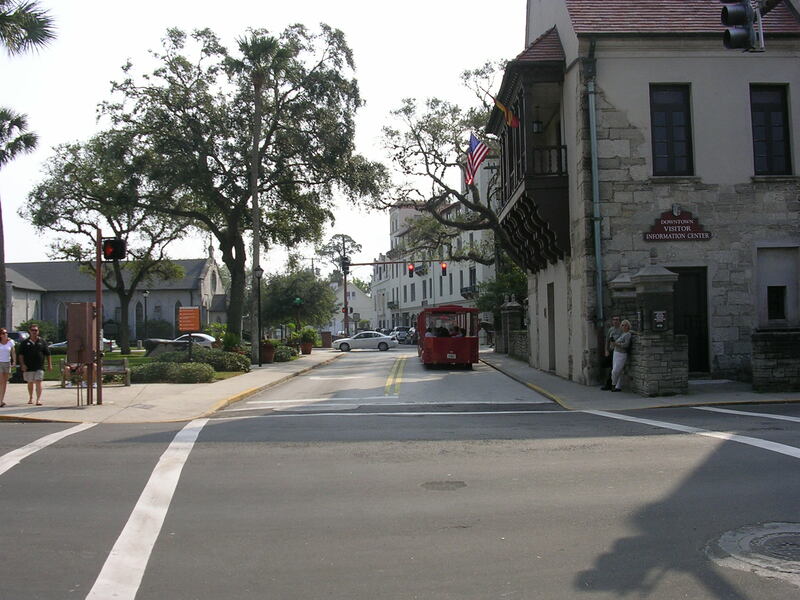 These are the northern fringes of historic downtown St. Augustine. 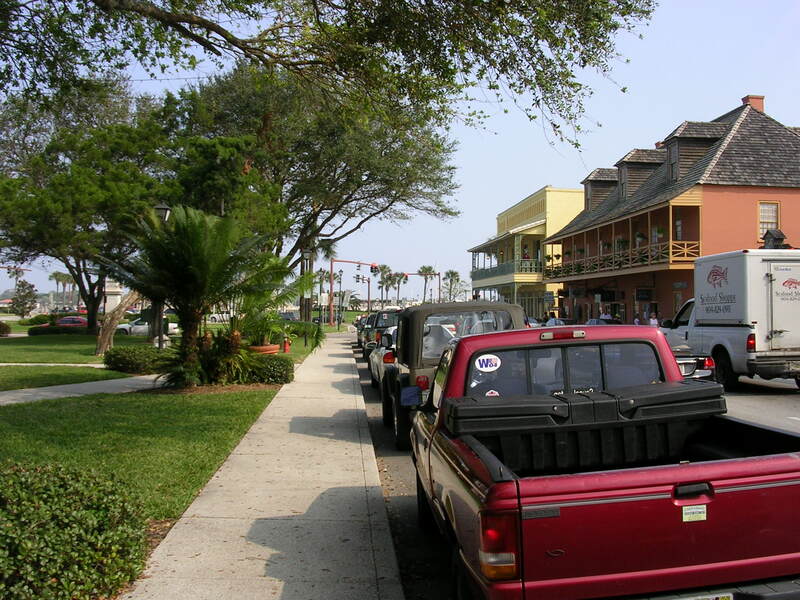 This is looking south down St. George Street, a pedestrian-only historic street lined with shops ranging from antiques to surfwear. 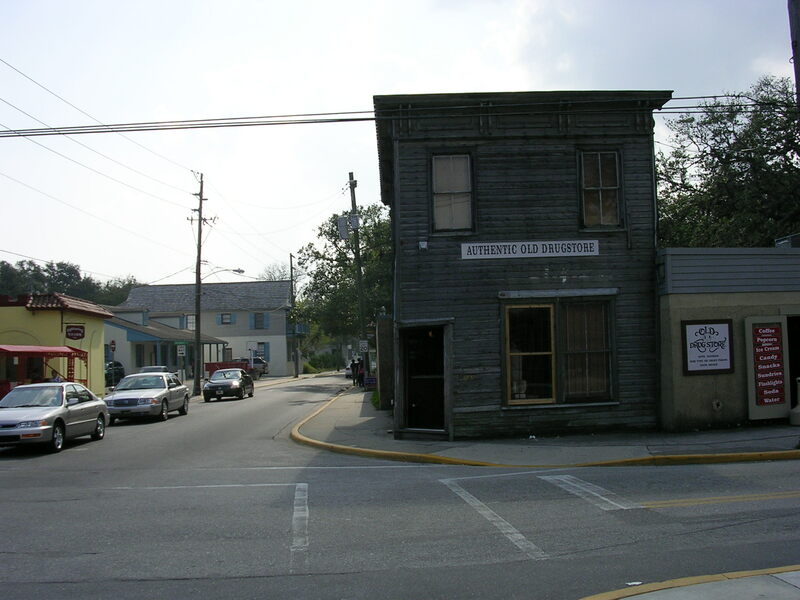 It is also lined with food stores. This is my favorite ice cream shop-- Kilwin's. 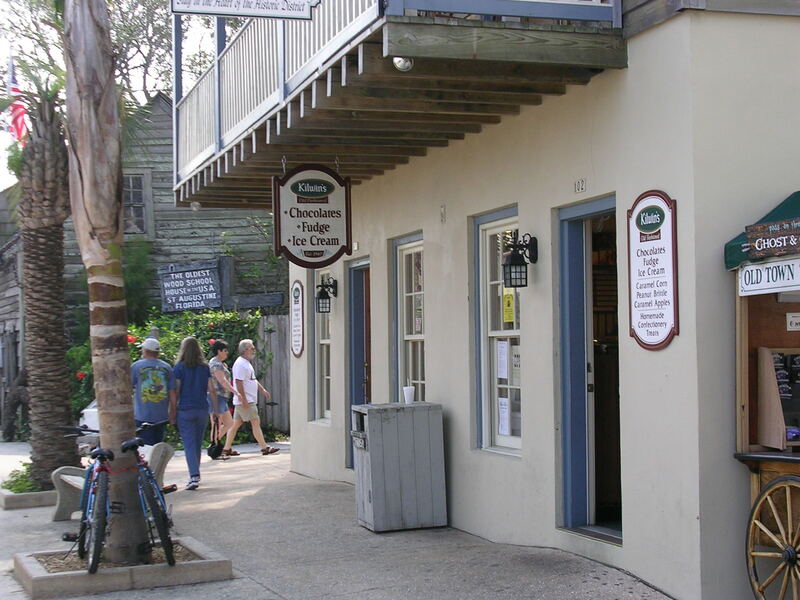 Get the St. Augustine Mud when you stop in. You want old school? 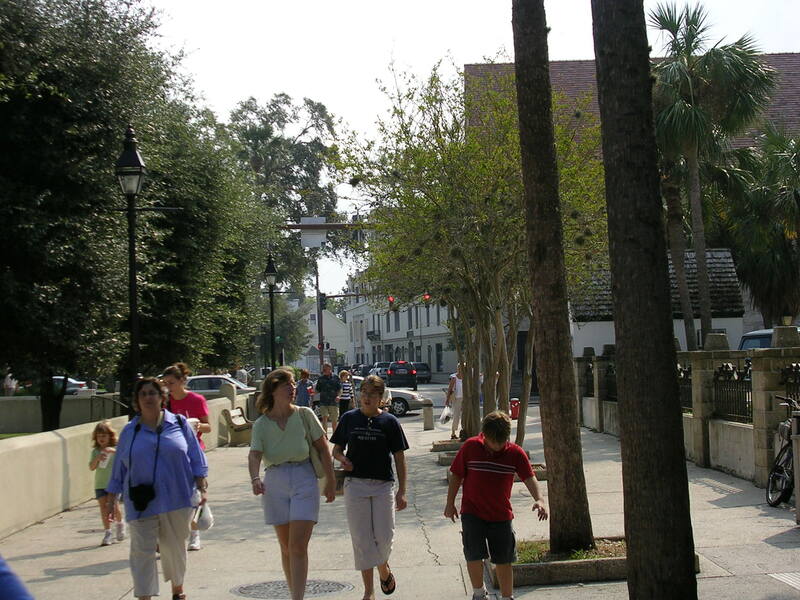 Come to St. Augustine. 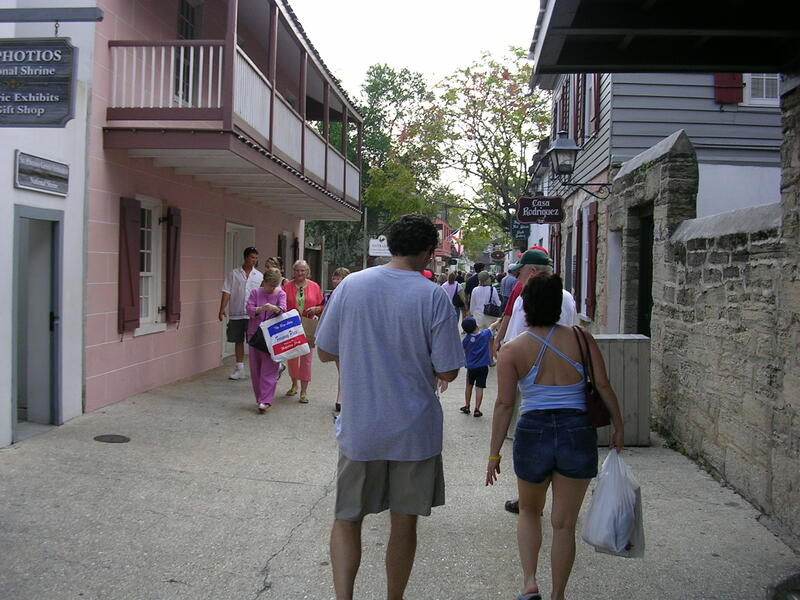 The happy tourists of St. Augustine. 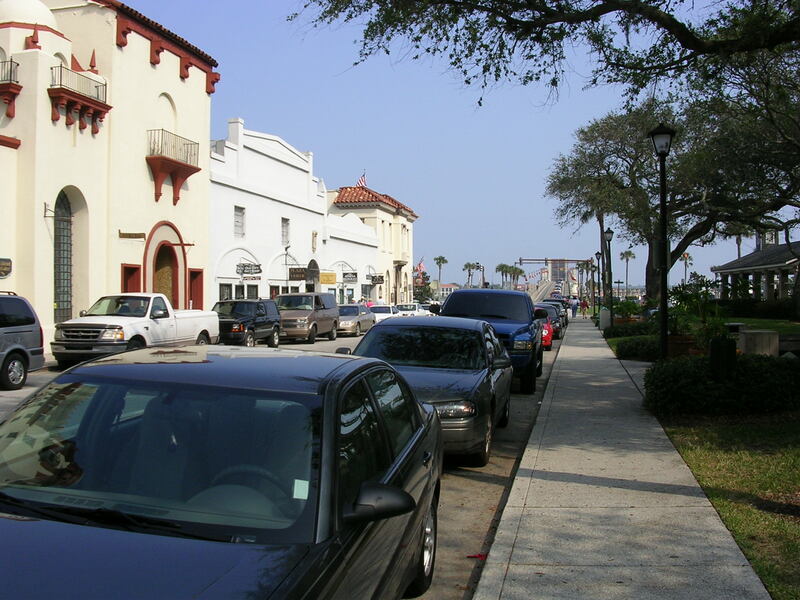 Some cross streets in the historic downtown area allow one-way car traffic, like this one. 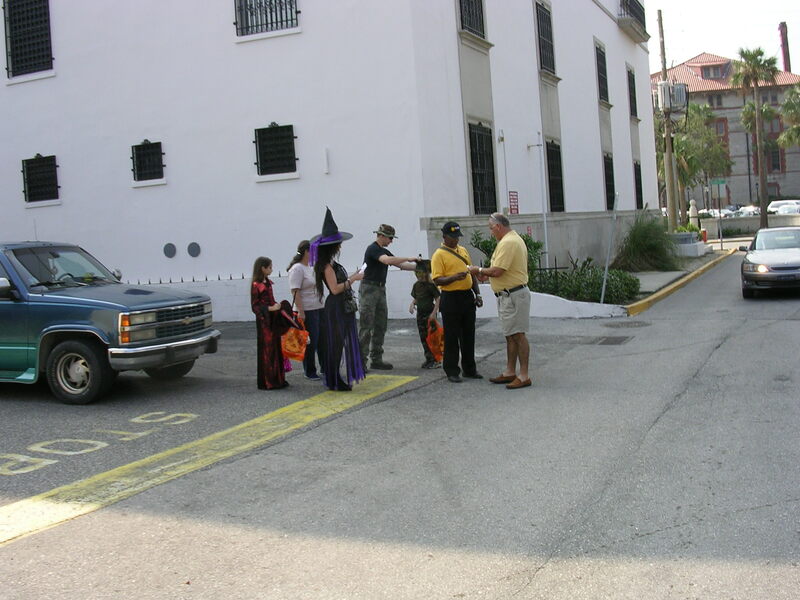 The cars yield to pedestrians. Trick-or-Treat! 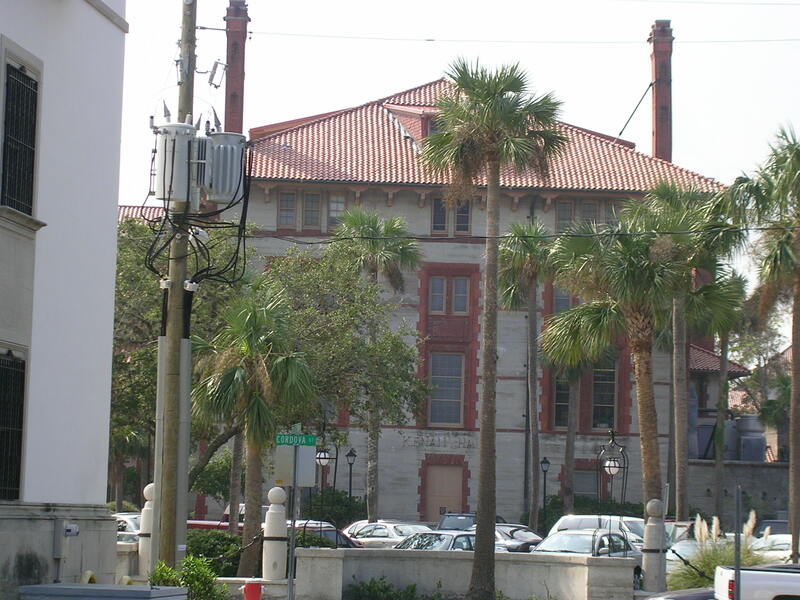 A building related to Flagler College, located downtown. 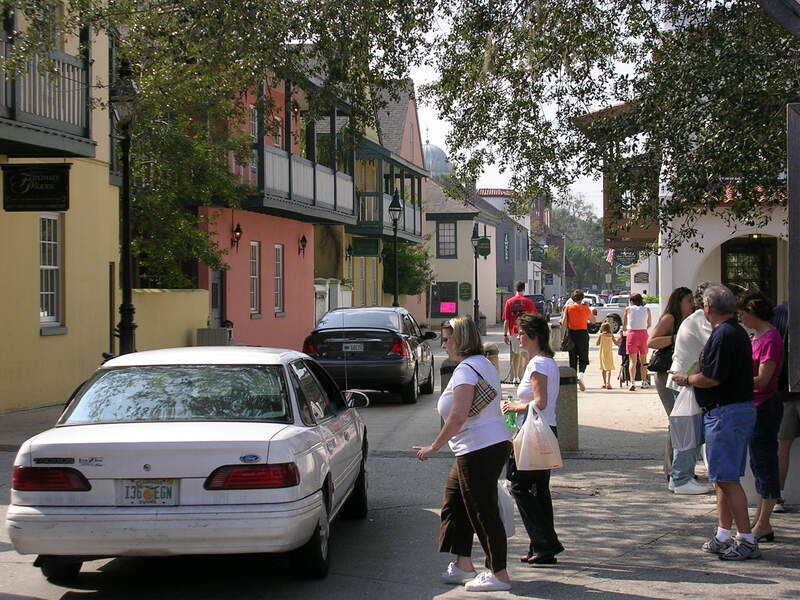 The south end of St. George Street is at King Street (Bus. 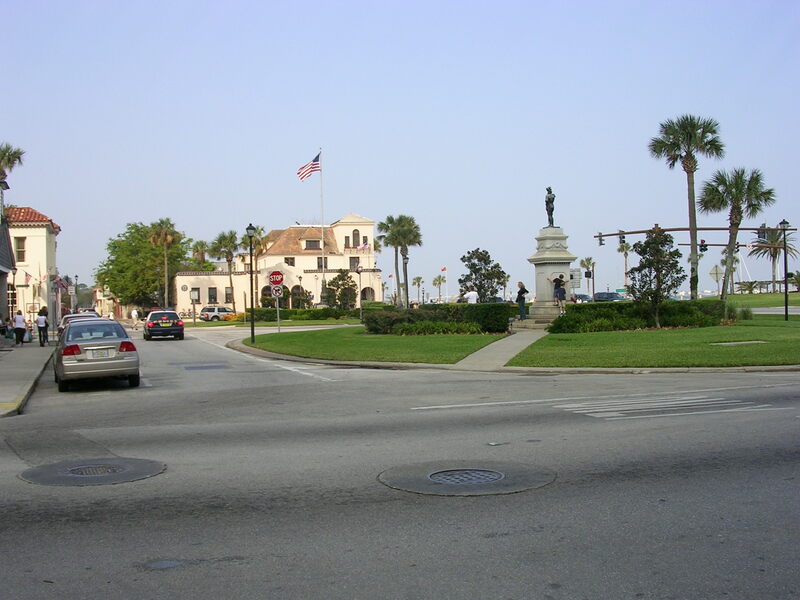 US 1). A closer view of the same intersection. The cross road right in front of us is Bus. US 1 Southbound, and the next light is Bus. 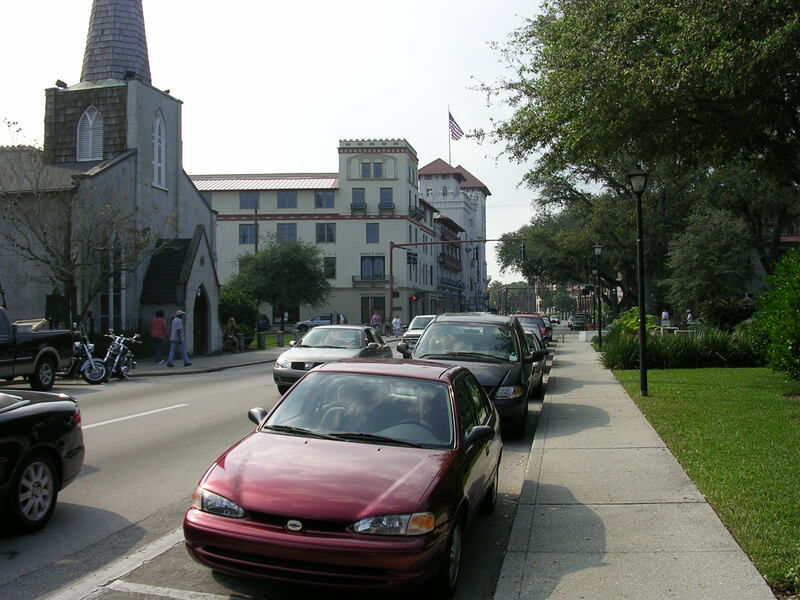 US 1 Northbound. And in the middle of the two roads is the town square. Today a mini art show is being held. 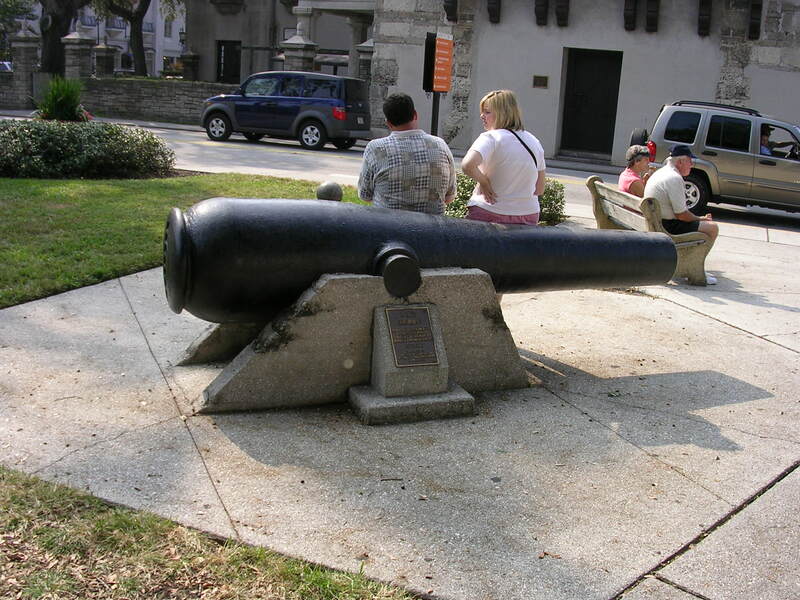 People like to rest their weary behinds on the cannons in the town square. 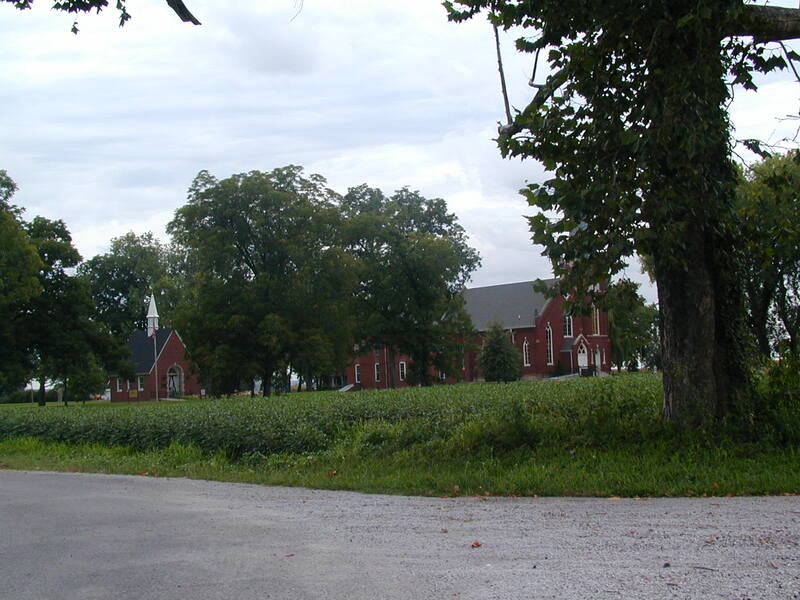 There's an old church to the south. If you face to the right, you are looking directly at the Bridge of Lions. See? The bridge is even up! Looking back to the west on King Street. Looking to the east on King Street. Bus. 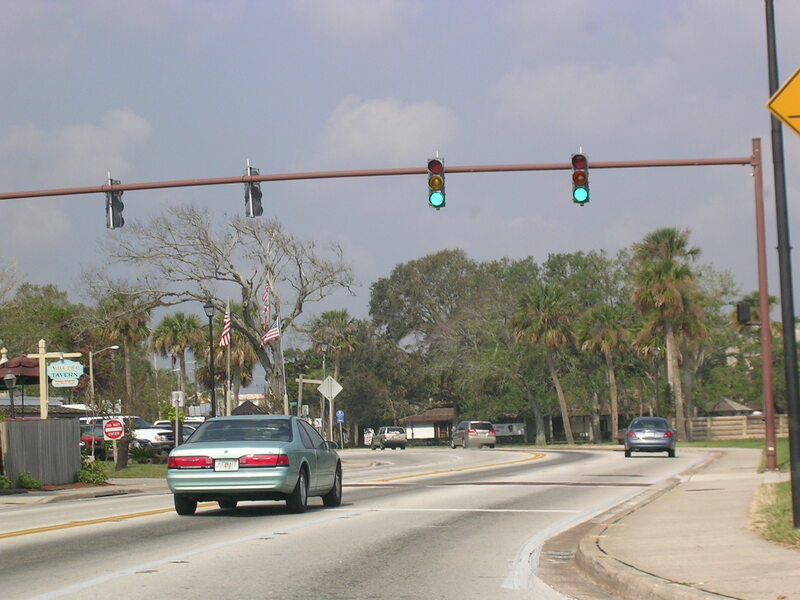 US 1 turns to the left at the light ahead and follows Avenida Menendez from there. 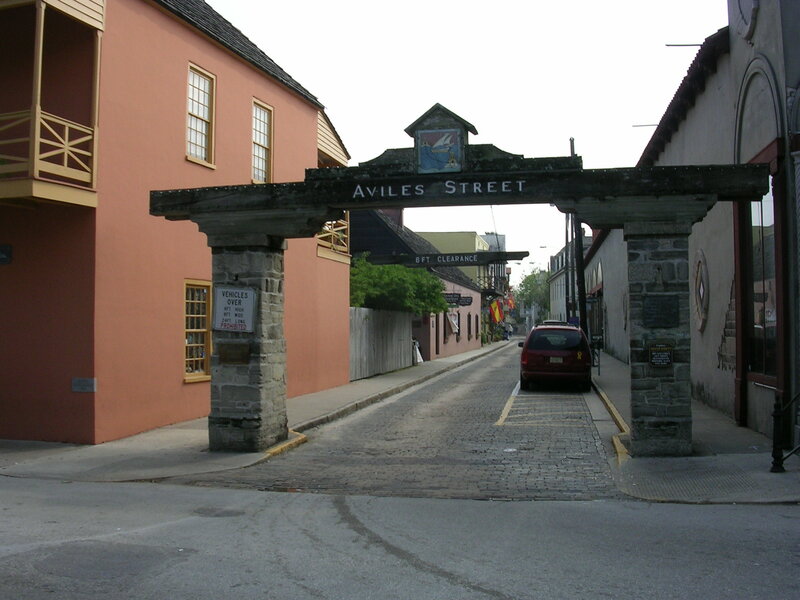 A cool little brick-paved street called Aviles St. has a great antique book and map store on it. 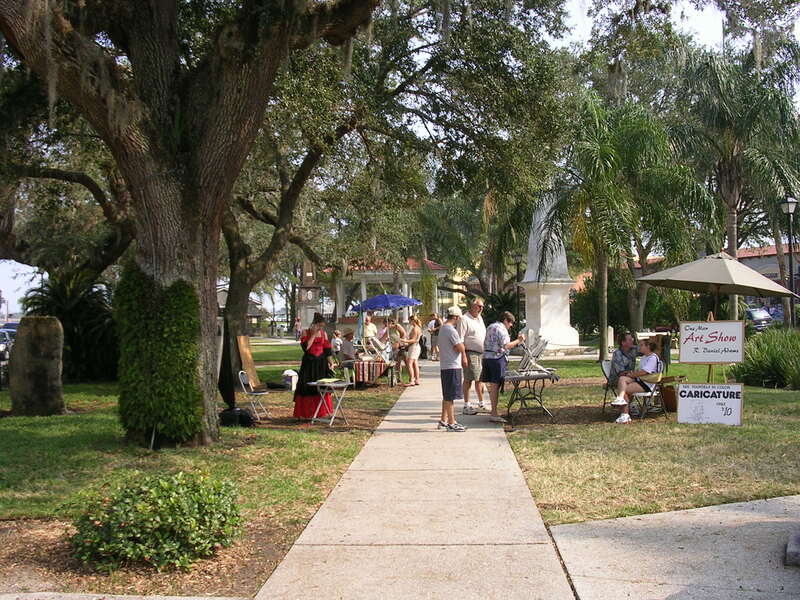 At the eastern end of the town square, looking north. 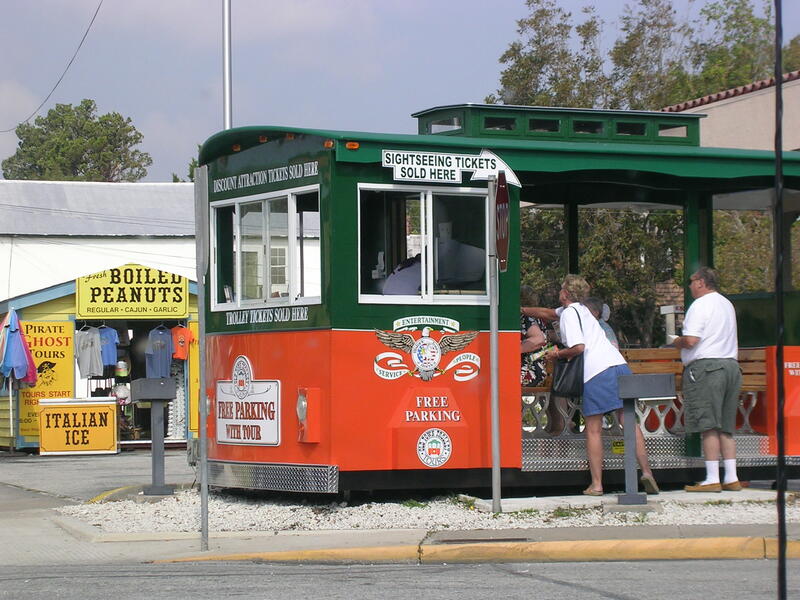 The trolley! !